A visiting professor at the Macao Polytechnic Institute (MPI) has been invited to chair a panel session at the 24th World Congress of Political Science, titled “China at the crossroads of nationalism and regionalism,” in which he will discuss, with other participants, the influence of China, Russia and India in Central Asia and the “One Belt, One Road” (OBOR) policy. Arnaldo Gonçalves, who will chair the panel on China, nationalism and regionalism, is a member of the International Political Science Association (ISPA), the chairman of the Lisbon-based Luso-Asian Forum and also a visiting professor at MPI. The panel will be made up of scholars from China, India and Russia. The conference has been organized by ISPA and is being held in Poznań, Poland between July 23 and 28. Organized every few years, the 2016 conference is themed “Politics in a World of Inequality,” and has around 3,000 participants enrolled to attend its many sessions. Gonçalves will discuss how China, Russia and India are competing for influence in the Central Asia region, and how China’s OBOR initiative is being seen as an infringement by Russia on an area that has traditionally been part of the Russian sphere of influence, or directly controlled by the former Soviet Union. This is important to China, rationalized Gonçalves, because it will reduce the dependency on the South China Sea, through which most of the trade traffic in the region traverses. “The worsening of the conflict there is providing a reason for China to build an alternative terrestrial [land-based] pathway,” he told the Times, alluding to the recent Philippine’s arbitration case that found China’s historical claims to almost the entire South China Sea invalid. Gonçalves said he prefers not to comment specifically on this issue, as the dust is yet to settle. “In order to establish a land route, [President] Xi Jinping needs to build infrastructure [in Central Asia],” said Gonçalves. However, the scholar highlighted that such financing overtures would necessarily be taken as an infringement on a traditionally pro-Russia region, and Russia would be sure to understand such encroachment as a threat. 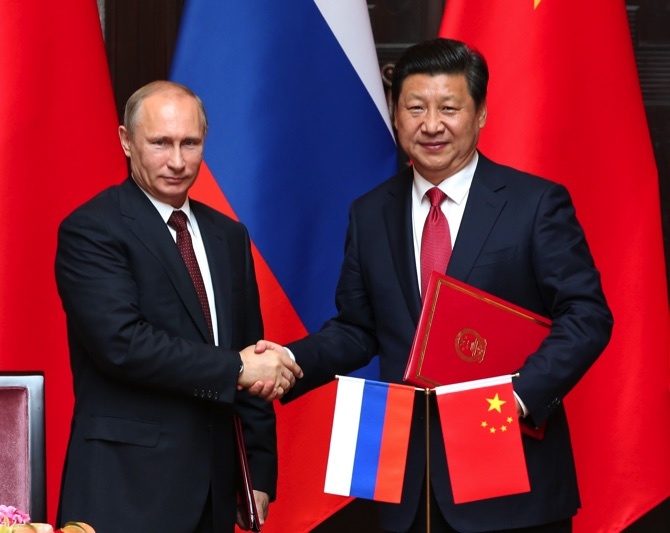 “Xi seems confident that he can convince the Central Asian Republics” to join the initiative even if traditionally they have been part of the Russian sphere of influence. Meanwhile, India is eyeing these developments and, being “generally suspicious of China,” is trying to balance Chinese influence in its northern neighbors. In terms of foreign relations, India has been known to have a relatively small diplomatic service for a country of its geographic and economic clout. Nevertheless, as of this year, India now has more foreign embassies and high commissions than all but nine other countries, indicating a change in the country’s approach to influencing its neighbors and those further afield. The OBOR initiative is a development strategy proposed by Xi that seeks to improve connectivity and cooperation between areas that were historically part of the Silk Road. The strategy emphasizes China’s shift towards taking a larger role in global affairs, as well as securing access to markets with sufficient demand to satisfy the country’s production output. ISPA was founded as an international scholarly association in 1949 under the auspices of the United Nations Educational, Scientific and Cultural Organization. Every few years the organization holds conferences to discuss important global issues.